Jerry Lamper was raised in Bend, Oregon, and has photographed the McCloud River on many occassions throughout his life. Many more photos of his are displayed throughout this site. 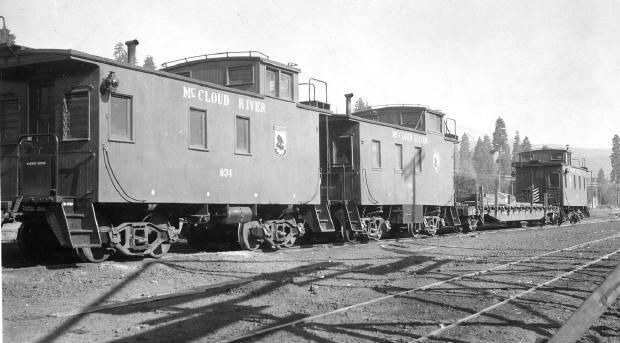 McCloud River cabooses 034, 031 and an un-identified one, all ex-Great Northern cars, sit with a Southern Pacific flatcar at the upper end of the yard on 31 August 1957. After it's sale to the Union Pacific in 1997, the #39 spent several weeks working out of Dunsmuir before being sent south for an overhaul and painting into UP colors. Jerry caught the unit sitting in Dunsmuir on this day in late summer 1997. 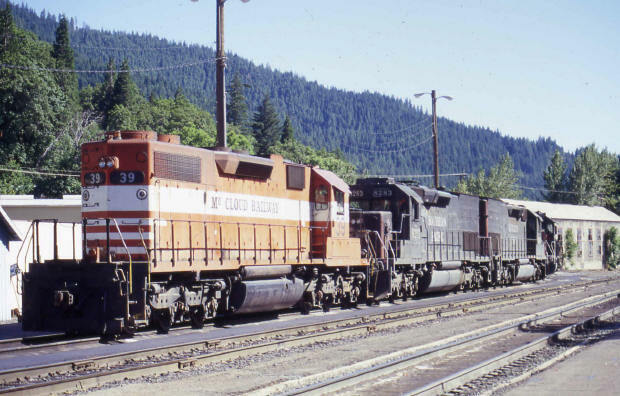 Jerry caught the #36 sitting in front of the shop building in September 1991, with ex-Alaska GP-7 #1804 visible through the open shop doors, along with a McCloud boxcar and a Burro crane. 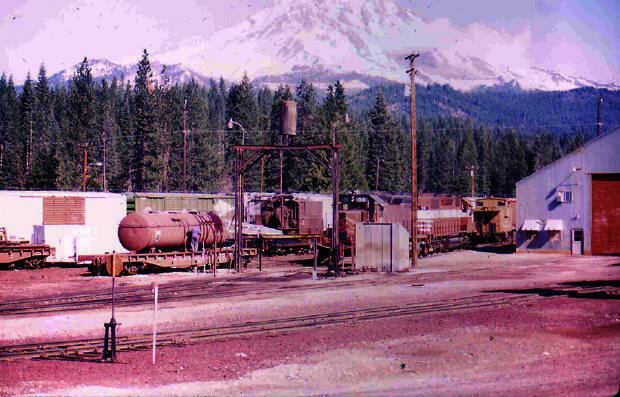 The yard as Jerry found it on 29 March 1988, with a shop employee tending to the sand car while the #38 and #39 with one of the cabooses wait patiently in the background.